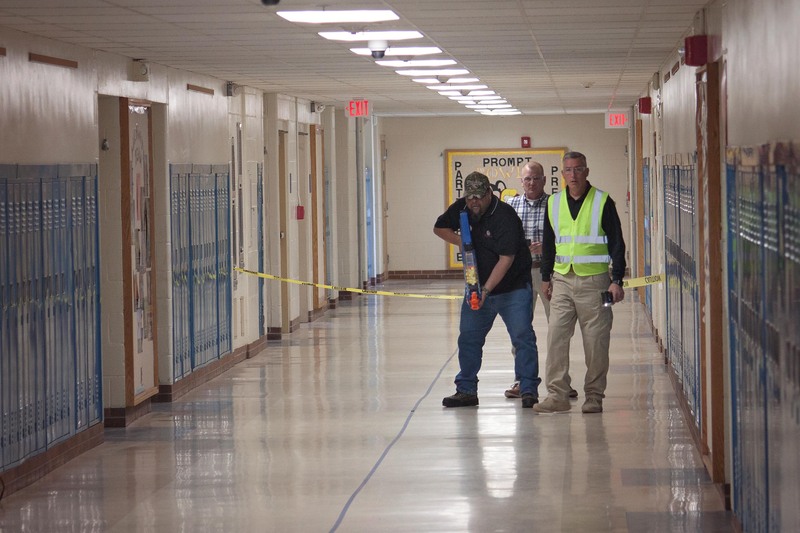 A staff member from a western MA hospital prepares to act as an active shooter during an ALICE (Alert, Lockdown, Inform, Counter, Evacuate) train-the-trainer session held in Pittsfield in February. EMERGENCY RESPONDERS–If you are looking for Emergency Contact Information, look on the Resources for Emergencies page. If you need emergency assistance from the Medical Reserve Corps, Disaster Animal Response Team, the Berkshire County or Pioneer Valley Community Organizations Active in Disasters, or the Health & Medical Coordinating Coalition duty officer, please call our 24/7 answering service at (413) 773-1502. The Franklin Regional Council of Governments is involved in a number of emergency preparedness initiatives serving all of western Massachusetts. Emergency Preparedness Program staff work with four regional committees: the Mohawk Area Public Health Coalition, the Franklin County Regional Emergency Planning Committee, the Franklin County Emergency Communications System Oversight Committee, and the Western Mass. Health and Medical Coordinating Coalition. Working with these committees and with local governments, the FRCOG works to provide integrated planning and technical assistance meeting goals to improve and enhance our communities’ ability to prepare for, respond to, and recover from natural and man-made disasters. Visit our Resources for Emergency Management Directors page or our Elected Officials Preparedness Series page. In the summer of 2018, the Emergency Preparedness Program staff embarked on a strategic planning process to plot out our work over the next five years. In December, we held a State of Emergency Preparedness in Franklin County workshop, where we asked our stakeholders for their feedback on the strengths and challenges facing emergency preparedness in our communities. Results from that workshop and a subsequent survey, combined with the staff’s own observations, will be shared in the spring of 2019 in a draft report of recommendations. If you were unable to join us for the workshop in December, we would still appreciate your feedback via this survey. The Emergency Preparedness Program coordinates the REPC, an emergency planning committee for all 26 Franklin County towns. The REPC receives Tier II hazardous materials reports from facilities in the County under the Emergency Planning and Community Right-to-Know Act. For more information, or to request Community Right-to-Know information, please contact Dan Nietsche, Emergency Preparedness Coordinator. The Emergency Preparedness Program coordinates MAPHCO, a public health emergency preparedness coalition serving 24 Franklin County towns and two Hampshire County towns. Greg Lewis serves as the Coalition’s public health emergency preparedness (PHEP) planner. 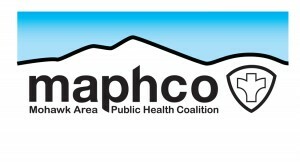 For more information on MAPHCO, please contact Greg Lewis, Public Health Emergency Preparedness Planner. The FRCOG serves as the sponsoring organization of the Western Massachusetts Health and Medical Coordinating Coalition (HMCC). The HMCC coordinates public health and medical emergency preparedness in Region 1 (Berkshire, Franklin, Hampden, and Hampshire Counties). For more information, please contact Tracy Rogers, Emergency Preparedness Program manager, or visit the HMCC’s website, which contains information about current public health and healthcare emergencies in progress as well as a multitude of emergency planning resources. To request assistance from the HMCC, please contact the HMCC Duty Officer by calling our 24/7 answering service at (413) 773-1502. For non-emergent communication, you may email the duty officer. The Emergency Preparedness Program coordinates the FCECS. The FCECS Oversight Committee oversees construction and maintenance of a regional interoperable communications system linking police, fire, emergency medical services, and dispatch communications throughout and beyond the Franklin County region. For more information, please contact Dan Nietsche, Emergency Preparedness Coordinator. The Emergency Preparedness Program assists municipalities and districts that want to explore sharing public safety services such as fire, police, and emergency medical services. We are currently working with the Buckland, Shelburne Falls, and Shelburne Center fire districts as well as the Town of Charlemont to determine how to share administrative services and to coordinate large equipment and apparatus purchases. The Emergency Preparedness Program no longer coordinates the Franklin County Citizen Corps. In order to create a more robust team of volunteers, the Berkshire Regional Planning Commission and Fairview Hospital agreed to oversee both the Berkshire and Franklin County Medical Reserve Corps (MRC) units. These units will plan together, train together, and exercise together to create one larger team with two geographic foci. Please reach out to Corinne McKeown at Fairview Hospital for more information. A Community Organizations Active in Disasters (COAD) is an umbrella organization that brings together agencies or groups that want to assist during an emergency, but aren’t part of the formal emergency response system. The COAD itself does not provide direct services, but its member organizations do. The COAD provides a network based on coordination, communication, collaboration, and cooperation through which each organization can more effectively and efficiently assist in a disaster response. COAD brings together organizations from many sectors of the community: primarily nonprofit agencies, businesses, and faith-based organizations. During or after a disaster, local public safety officials can call on COAD members to provide support in response or recovery efforts. Western Massachusetts currently has two operating COADs: the Berkshire County COAD and the Pioneer Valley COAD (covering Franklin, Hampshire, and Hampden counties). The COADs have a joint Emergency Operations Plan so the two entities can work together when a disaster strikes in western Mass. You may learn what kinds of services the COAD provides by downloading a copy of their brochure. To request assistance from the either COAD, please contact the HMCC Duty Officer through our 24/7 answering service at (413) 773-1502. If you experience an issue while using the radio system in Franklin County, please use this Radio System Trouble Ticket to let us know. The radio system manager will contact you within 48 hours to confirm that he is working on the issue you reported.